This is a post I began, let fall by the wayside, and now I'm finishing it thanks to the Back to Blogging Challenge. I mean, kind of. Still warm here but whatever. This God-forsaken summer can't hold on forever. That's where my hope lies at this point. Nature is nature. I make all of the main dishes to freeze. Sometimes we eat one batch immediately and I put the second in the freezer. Sometimes, when I really have it all together, I just freeze it all for future dinners. Meatballs. I really need to get this meatball recipe on the blog. I started using one that I found online years ago, but now the link doesn't go anywhere. So I've tweaked it based on what I remember and what I don't remember. However, you really can't go wrong by freezing any meatball recipe. Chicken Tortilla Soup. This is an absolute staple and we eat it once a month. It's really easy to freeze in batches so I almost always have some in the deep-freeze. Tomato Soup. I love thick and flavorful tomato soups. I've been making this for 4 years now. It freezes well. 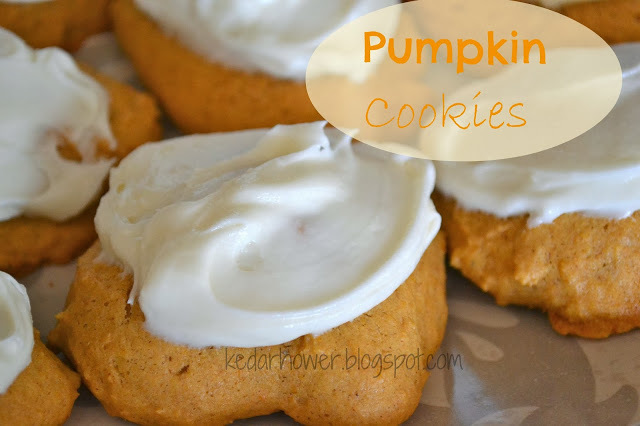 Pumpkin Cookies with Cream Cheese Frosting. 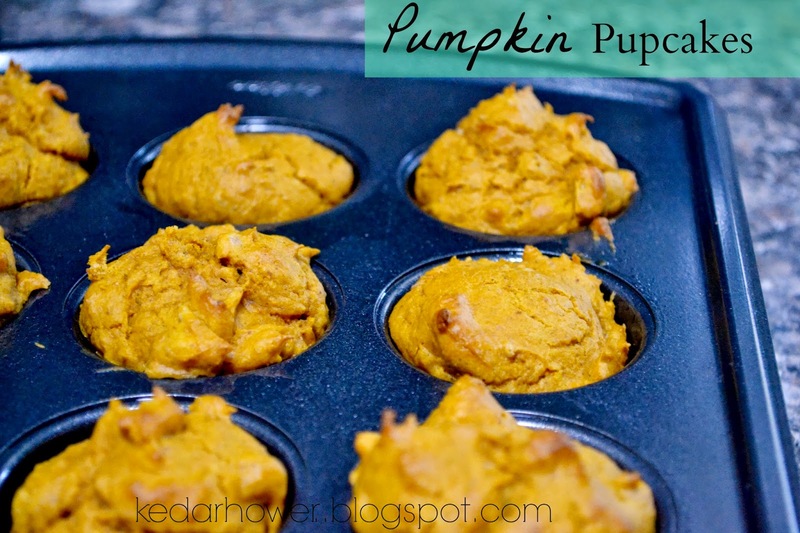 And for the pups...Pumpkin Pupcakes. What's your favorite fall recipe? These are foods I want right now (maybe I should eat breakfast?)! Oh how I wish I had time to do all this baking I see people do! 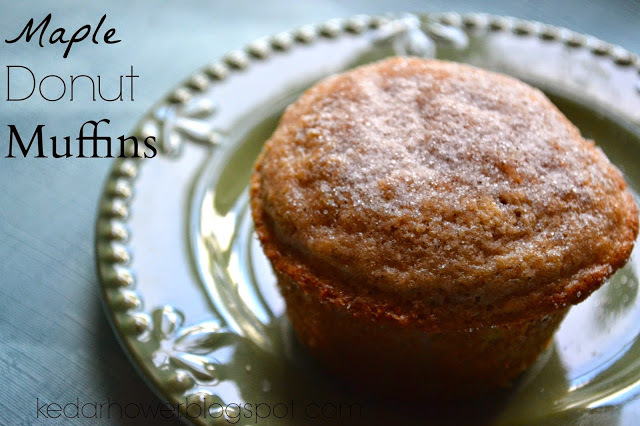 I love all fall foods! 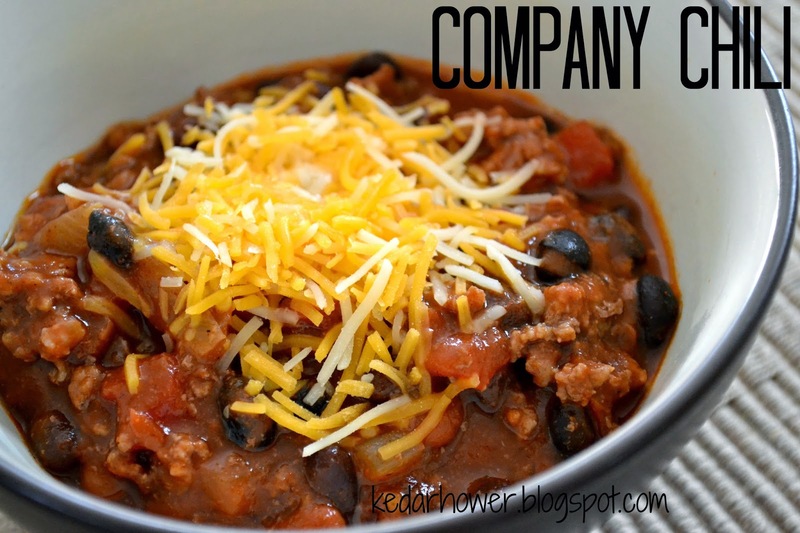 We had chili last night and it was perfect. All of these look so good! 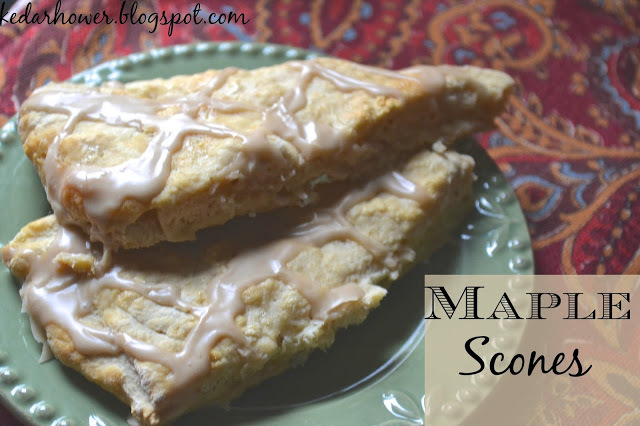 I am saving that Maple Scone recipe right now. We are all about chili and hearty pasta dishes in the fall. I need to try your version of white chicken chili. I tried another one with straight cream cheese and while it tasted amazing, the cream cheese never fully melted and left all these little white chunks floating on top and it looked (literally) like someone had vomited into a soup bowl. These all look great! 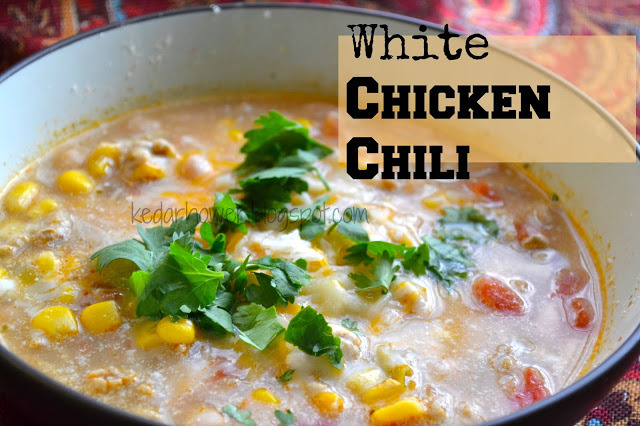 White chicken chili is one of my favorite fall foods. That white chicken chili recipe looks so good! I don't care for pumpkin but those brownies sound/look amazing & I'm going to pin a bunch of these! Oh dear heavens! All of these recipes look amazing. Thanks for the reminder on apple crisp. 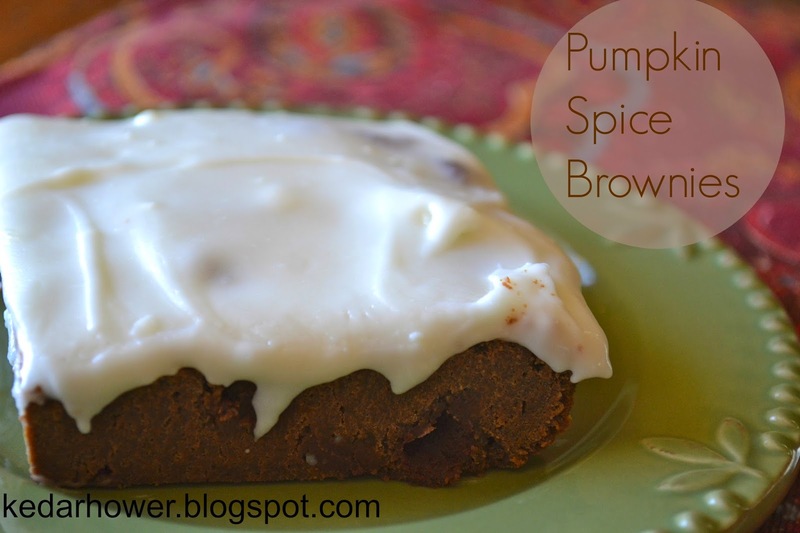 The last thing I need in my house :) but perfect fall dessert! I need a good white chicken chili soup recipe. Honestly, sometimes, I can go a whole week eating tomato soup and grilled cheese during cooler months. 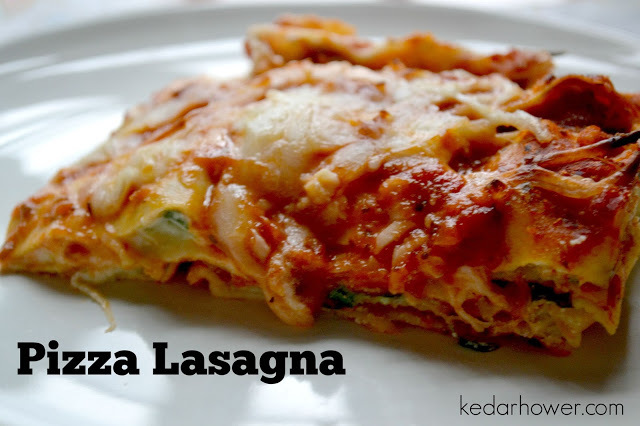 Pizza Lasagna?! yum. i love love love tomato soup, but i have never made it. people say it is easy but it looks hard to me because i am not a good cook lol. but i pinned that recipe and maybe one day i will make it.